Do you have supporters with dogs? Are they dog lovers? Do they like to walk their dogs? And do they enjoy getting together? Then you have the makings of a successful fundraiser! It will also be a good fundraising idea for organizations to do with animal cruelty, or that are animal rescue shelters! It's essentially a type of Walkathon Fundraiser... But with man's best friend as company! 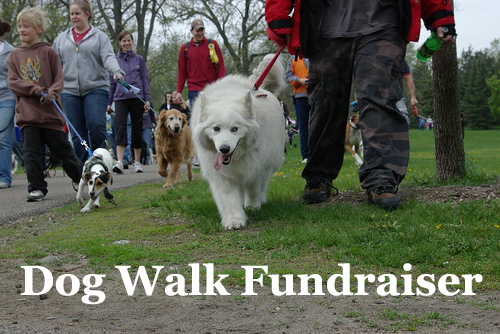 A dog walk is a fundraiser event that is reasonably simple to organize. But it will take some preparation to run effectively! So you may be asking... "How do we make money from this fundraiser?" Your first way of raising funds will be through entrance fees. Decide on a price it will cost for people to take part and walk their dogs, for example $5 per dog. You should give your walkers something for that entrance fee, like a T-Shirt or a fundraiser bracelet. Make sure you sell advertising on the T-Shirts as well. You should also set a challenge for participants to raise funds themselves for the event. A great idea would be to setup a Pledge Event Website where participants can create personalized donation pages and get friends etc. to donate to them. Also check out these great resources for more info on running successful Walkathons. Have a food and drinks stand. Always a winner, people have to eat and drink. Sell dog bowls, leashes, dog food or any dog related item that people would buy. Have a Raffle. A MUST DO! Get local businesses to sponsor the event and advertise at it. Sell other fundraising items - like bracelets, lollipops, Water Bottles and Apparel from your SSA Apparel Fundraising store. Grab a free fundraising product guide to see what other fundraising products you could use. If you don't setup a Participant Pledge Website then definitely consider using an Online Donations website like this excellent platform where people can sponsor donations for different dogs or simply donate to your cause! You'll need to find a suitable location to have your dog walk start and finish. Make sure it has the right facilities, like running water and electricity. You'll also need to pick a good date to hold the dog walk fundraiser. Do some research and find a date that doesn't compete with anything and is most suitable for your supporters! Make sure the date you choose gives you enough time to advertise the event properly! This is the aspect of your fundraising event that will either make it a huge success, or a flop. Start with announcing the event on your fundraising website. Do the same on your newsletters, your Facebook Page and your Twitter account. Keep updating as your event get's closer and build some excitement around it! Ask local businesses to place your event posters on their walls and hand out flyers to their customers. Also ask them to mention your event on their websites. Do a Press Release (PR) and send it to all your local newspapers. Post that PR on online press release websites. Use Word of mouth and create a Buzz. For more ideas on promoting a fundraiser read this article. The most important thing about this fundraiser is to create some excitement about it beforehand and then to make sure everyone has a really fun time. If it's fun and exciting, guess what... There will be a huge demand for you to hold it again. So make it a success and then build on that success! Good Luck! 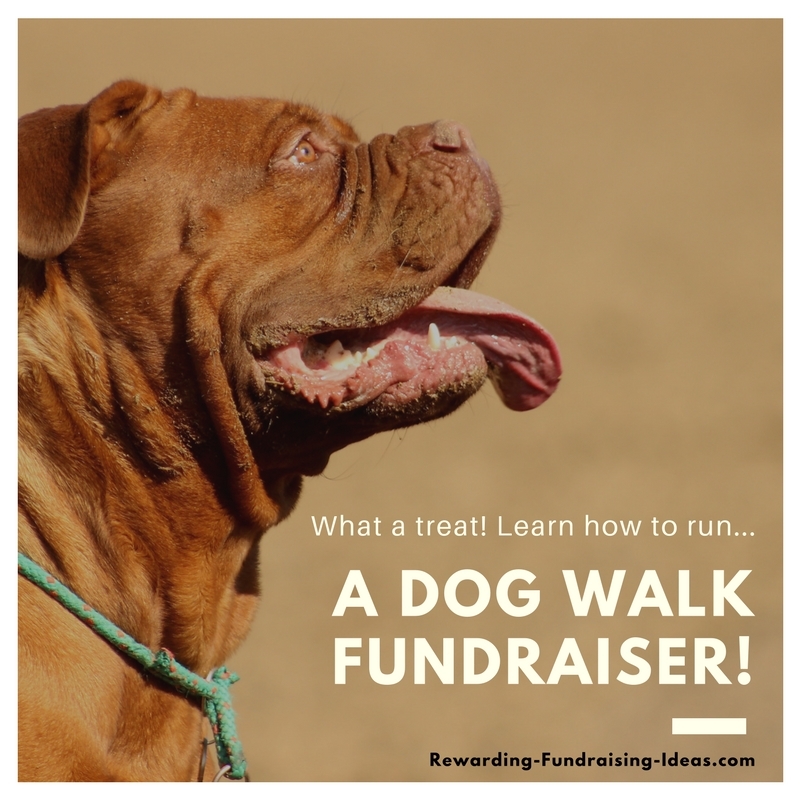 Another Fundraiser you could look to incorporate into the dog walk fundraiser is a dog fundraising show.